Come Join us for the Grape Picking Party and experience CRUSH at Waving Tree Winery. Waving Tree Winery at 123 Maryhill Hwy, in the community of Maryhill. 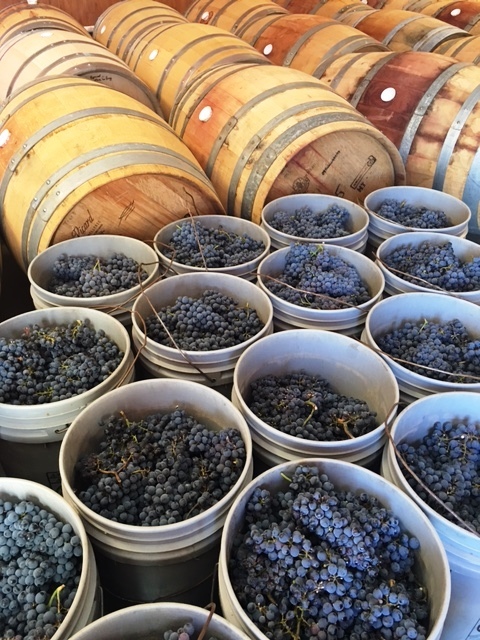 Come prepared to pick the grapes: We have rough ground so wear sturdy shoes, bring layers as sometimes it is cool in the morning and warm in the afternoon. We supply the clippers, and bandaids. and We supply Lunch, pizza and beaverages and are generally done by noon. After Pizza, we will have a vertical tasting of our Nebbiolo; starting with our 2016 and ending with our 2012 which has had 5 years in barrel. 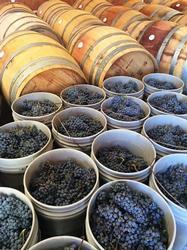 The 2012 will be offered for purchase as a Future, which will be bottled after harvest. Looking forward to a Fun time for all. Waving Tree Vineyards and Winery.